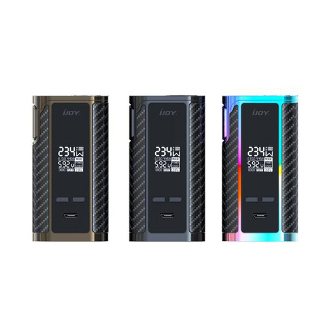 The iJoy Captain mod is a special device that offers a platform for 20700 batteries since they are the new and upcoming size in the industry. While this mod does come complete with two 20700 batteries, it also offers an adapter to use 18650 batteries in its place. The mod itself goes up to 237 watts and can be masterfully paired with almost any tank to give you beautiful clouds of vapor and a stunning eye piece of candy! Note: Temperature control devices requiresthe use of nickel, titanium or stainless steel coils.